Are you looking for a professional and trusted carpet cleaning service in Agar Town? Magic Carpet Cleaning Company is the right choice.? We provide most recommended cleaning methods in industry – hot water extraction and dry powder cleaning depending on customer needs and the fabrics of the carpet. Why Choose Our Service in Agar Town? With our team of experienced carpet care specialists we are able to satisfy even the highest expectations. With the latest, modern and efficient cleaning methods, our reliable carpet cleaning staff is able to satisfy and even exceed your expectations. Our employees are certified and trained by National Carpet Cleaning Association, which guarantees you perfect end results, every time you choose our service. Your carpets and upholstery will look as good as brand new. 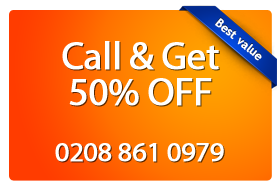 Don’t wait to call us on 0208 861 0979. Our customer support assistants are ready to answer to all questions you have. Also you will receive free of charge price estimate with no additional commitments. Use our on-line booking form as well.